Birds on Branches Brushes Pack - Free Photoshop Brushes at Brusheezy! Enjoy a little gem of nature right from your own desk with this new Birds on Branches Brushes Pack! Included in this pack are four different scenes of birds brushes with a brush stroke and leaves in the background. Also included are the solo birds brushes so you'll have everything you need for your next project. 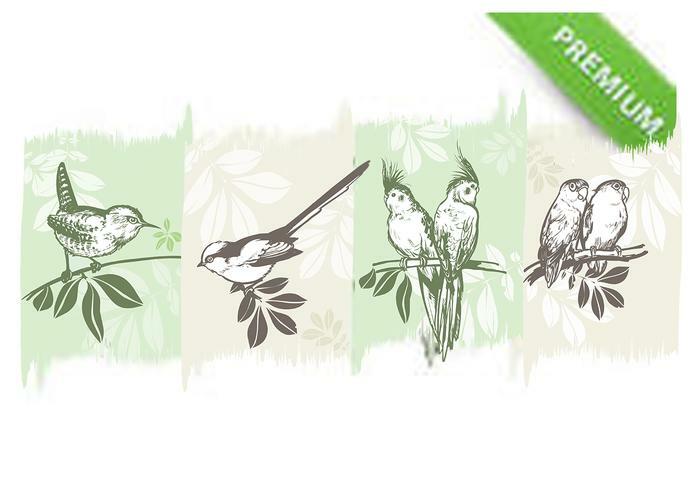 Also download the <a href="http://www.vecteezy.com/birds-animals/56607-birds-on-branches-vector-pack/premium">Birds on Branches Vector Pack</a> over on Vecteezy!